Two pieces of good news in a row. Bernie Sanders wins Wisconsin, and Michael Moore’s new film Where To Invade Next is almost too good to be true. Though a friend reminds me: Nothing is too good to be true! 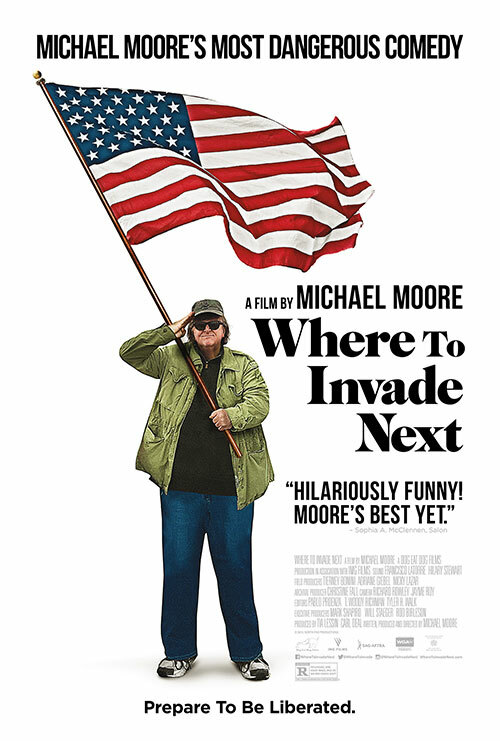 The film invades half a dozen European (and Tunisia) countries and instead of grabbing land, families to enslave, oil or diamonds, Michael Moore “steals” the best ideas the countries offer. I felt so hopeful after seeing this film. Not everyone on the planet has fallen ill with the American disease of envy, greed, brutality, lack of empathy, and war, i.e., a love affair with death. Instead they have taken what America used to stand for, and run with it. Drop everything and go see this film. You will be so glad you did!